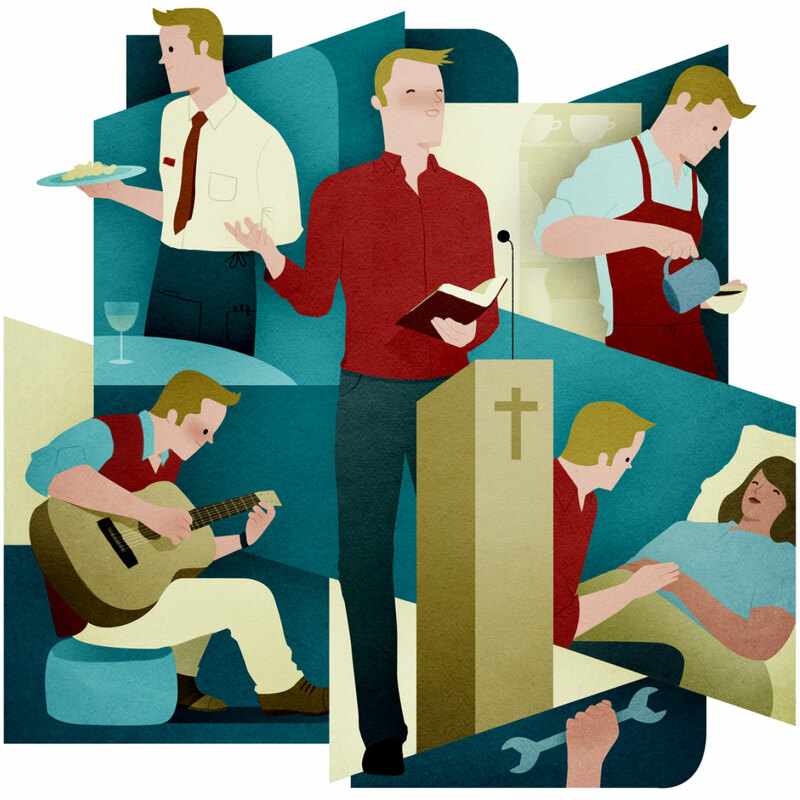 Traditionally, “bivocational” is defined as a pastor whose livelihood depends upon two streams of income: one from a ministry and one from the marketplace. In the EFCA movement and elsewhere, the majority of bivocational pastors have historically lived in the world of the smaller church and/or the church plant. In some ways that’s still true. But in other ways it’s changing: More and more leaders are choosing to be bivocational. So if their convictions hold true over the long haul, they’ll stay bivo even as their churches grow and full funding becomes available. The stigma that has tended to follow the bivocational pastor is changing too—a sense of being judged “not good enough” to draw in the people needed to pay that full-time salary. After all, in a world where church giving continues to dwindle, how better to fund the new transformational churches that are needed? Even the EFCA’s fully funded pastors are agreeing: “I can’t picture a future of church planting in America where bivo strategies aren’t seriously considered, if not the new normal,” says Jeff Foote, pastor of Grace EFC in Longmont, Colorado, and a two-time church planter himself. In August 2015, a few dozen EFCA leaders gathered at a bivocational conference in Colorado to talk about how to turn the tide and give greater honor to those who are ministering in both church and marketplace. In that gathering, an apology was even extended—by Fritz Dale, executive director of EFCA ReachNational. Indeed, an ability to juggle is essential. Other qualities of an effective bivo pastor include: financial contentment, business acumen, commitment to the priesthood of believers, job flexibility and sense of calling to a new way of doing church. Christians in other cultures have long recognized this “new way of doing church.” In Latin America, for example, bivo is a reality because the Catholic culture doesn’t view the Protestant pastor’s role as “a real job,” according to Manuel Abarca Saez, church planter for the Spanish-speaking ministries of Northwest Community Church (EFCA) in San Antonio, Texas. So there’s little financial support for a full-time shepherd. Perhaps most significant to note is the fact that, in the healthiest bivocational churches, pastors are merely modeling what their on-mission congregants have been doing all their lives: living out the gospel at work and at home and in church-ministry activities. Indeed, points out Bruce Redmond, EFCA church-planting coach for the Southeast District, it’s the lay leader who has always done bivo best. Perhaps, in this era of increased bivocational ministry, the greatest gain will be a return to living out the priesthood of the believer: the saints in our churches being more fully equipped to make disciplemakers, and more of their pastors serving in the trenches alongside them. “This one phrase anchors my bivo choice,” Rollo explains: “‘We did this, not because we do not have the right to such help, but in order to offer ourselves as a model for you to imitate’ (verse 9). Continue reading this issue of EFCA Today and join the robust conversation about the role of bivocational ministry.